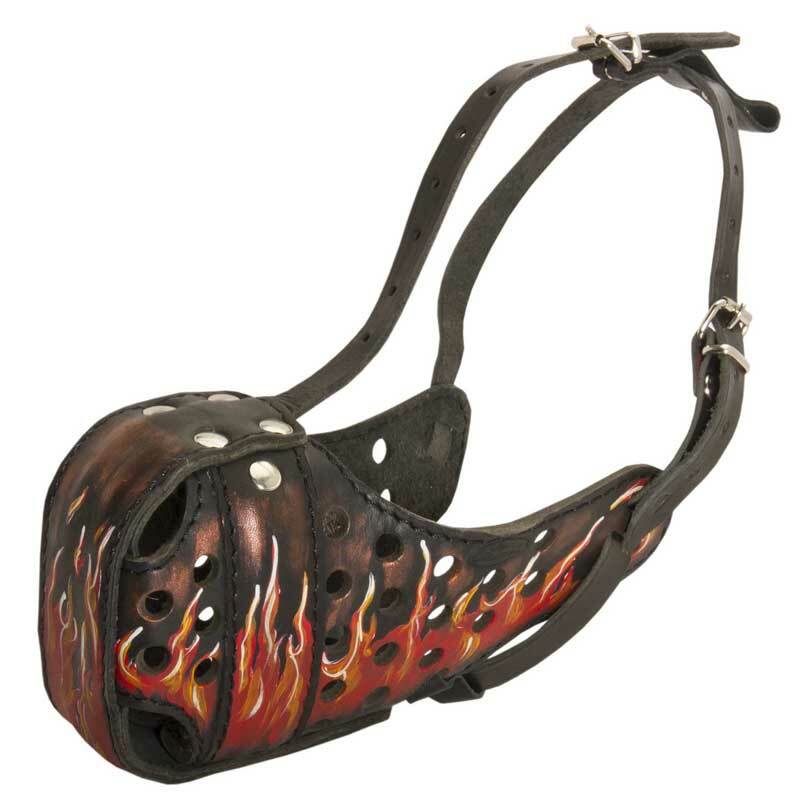 This Designer Dog Muzzle is great not only for daily walking but also for different kinds of training. Moreover, it combines high quality, utmost comfort and extraordinary style. Being made of full grain genuine leather, this Muzzle is extra strong, durable and non-stretching. 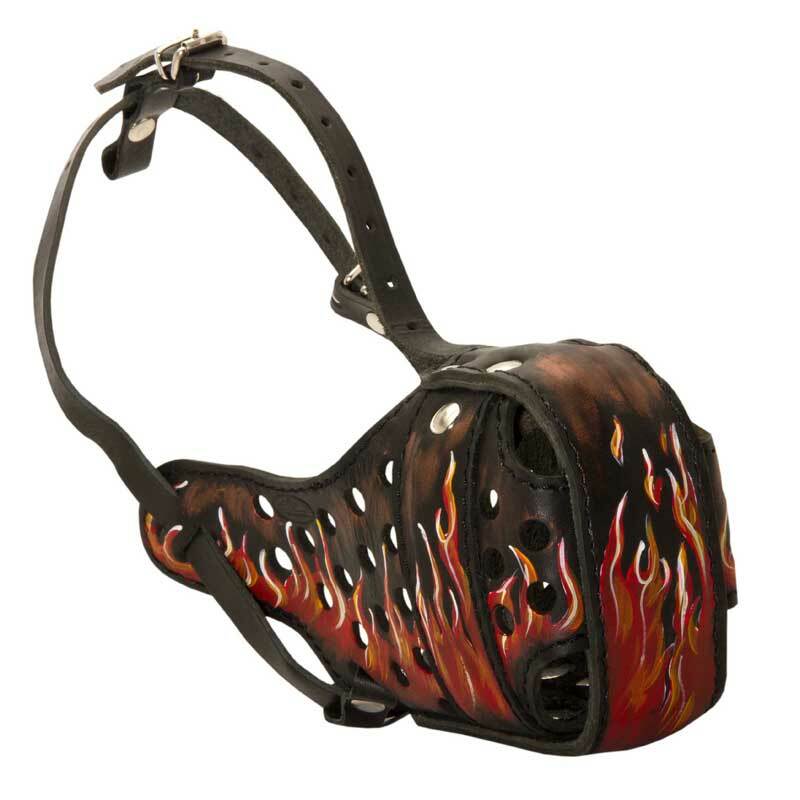 Be sure this Leather Dog Muzzle will provide your pet with perfect air flow. Thanks to special holes air circulates properly and your Rottweiler is able to breathe well. The unique feature of this dog supply is its incredible design. Red flames will make your dog look fashionable and unusual.